Spring is here and flowers are a favorite theme at our house. 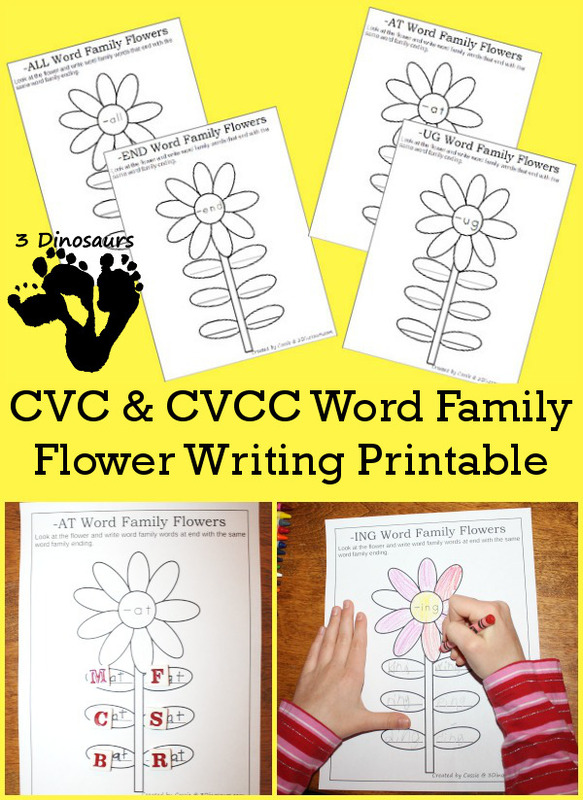 These CVC & CVCC Word Family Writing Flowers are tons of fun for the season. You can practice writing the different word family words that you are working on. On each of the flowers there is word family ending. This gives the suggestions of what to write on the leaves. You can be as creative as you want about the words. You don’t have to stick to my CVC or CVCC words. You can add blends and digraphs to make it more interesting for older kids. You can also challenge your older kids to write the words in cursive. 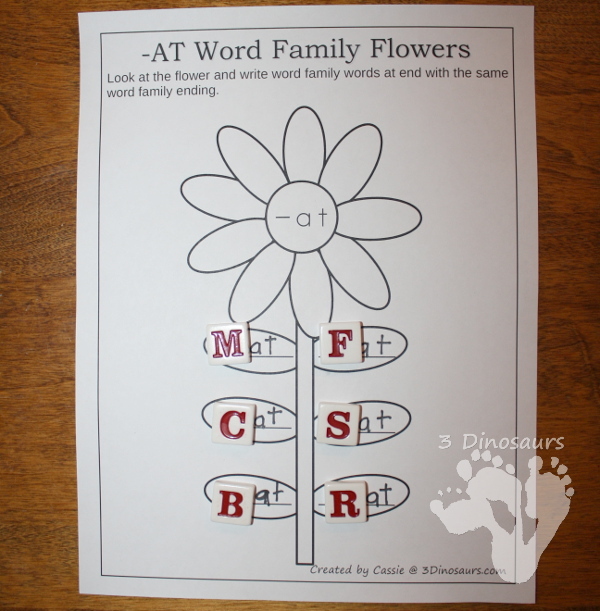 There is lots of space on the flower to write in the words. 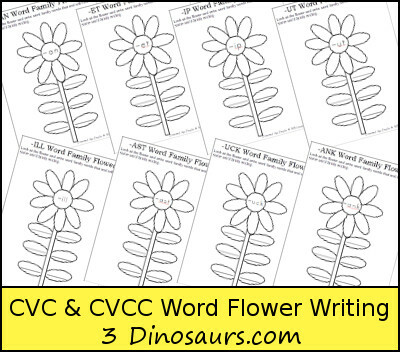 If they need suggestions of ideas they can use the CVC Word Family Wall Cards or the CVCC Word Family Wall Cards. 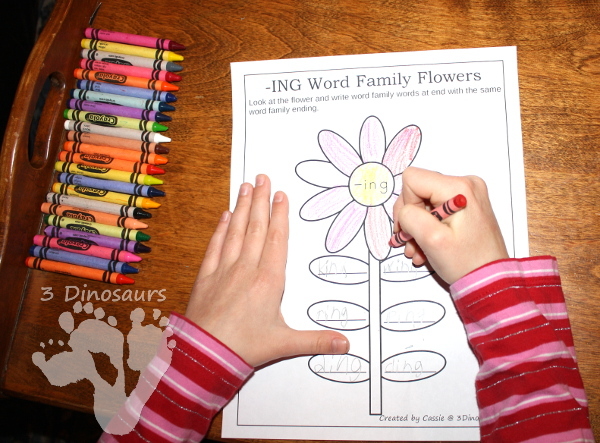 After you finish writing the words you can color the flowers as well. I know that my girls like to color a project when they finish it. 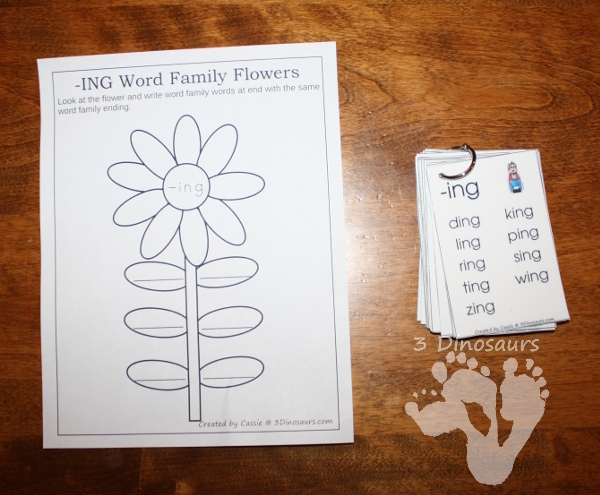 If you have a child who is working on rhyming but might not be writing as much you can write on the ending on the leaves and gives them letter tiles to make the words. This will make it a word ladder flower for them. 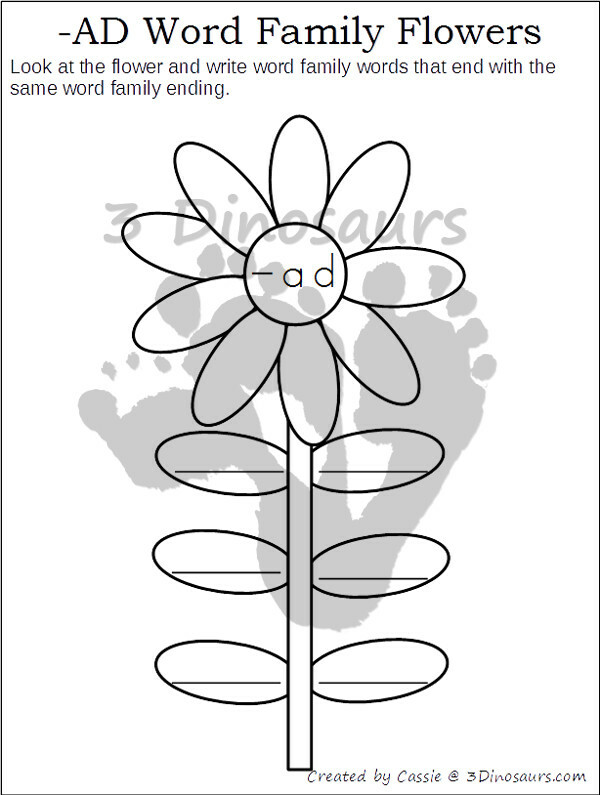 This entry was posted in learning to read, spring and tagged CVC, cvcc, flowers, free, printables, spring. Bookmark the permalink. These are great printables! Perfect for spring learning!